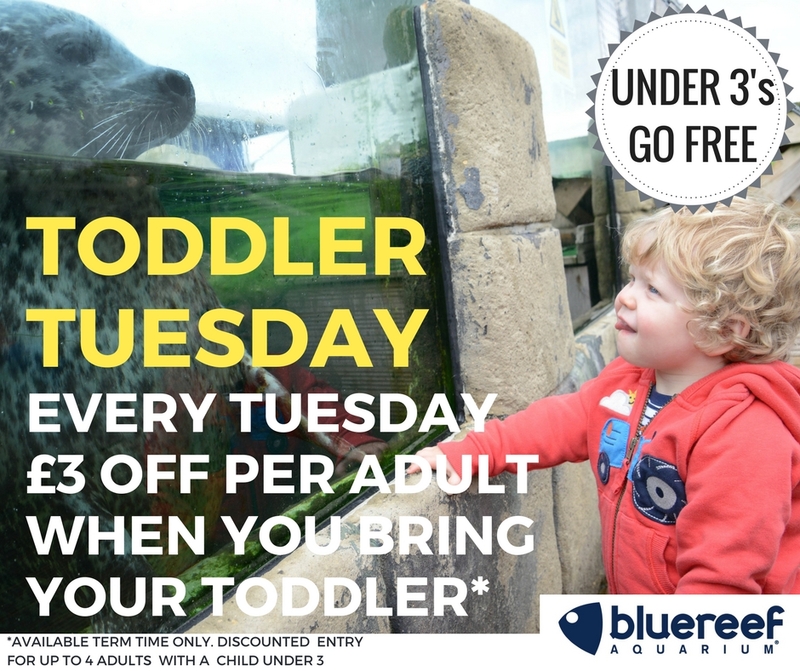 Join us every Tuesday in term time for Toddler Tuesdays. Bring along your little ones and save £3 per person on admission and under 3’s go free. We have lots of fun activities, you and your little ones can meet reptiles, seals and even touch a starfish. All in a safe and comfortable environment, perfect for little people! £3 off per person up to a maximum of 4 people when visiting with an under 3. Not available with online tickets. Discount only on standard tickets.